EMOJI — Computer Comforts, Inc.
EMOJI Chairs help create a delightful experience for children and a refined, performance driven experience for adults. Each piece is designed to support us in how we move and find comfort at various ages as well as how we evolve from seeking playfulness to focus. Four sizes cover all ages and hold characteristics specific to the physical and skeletal needs of each. 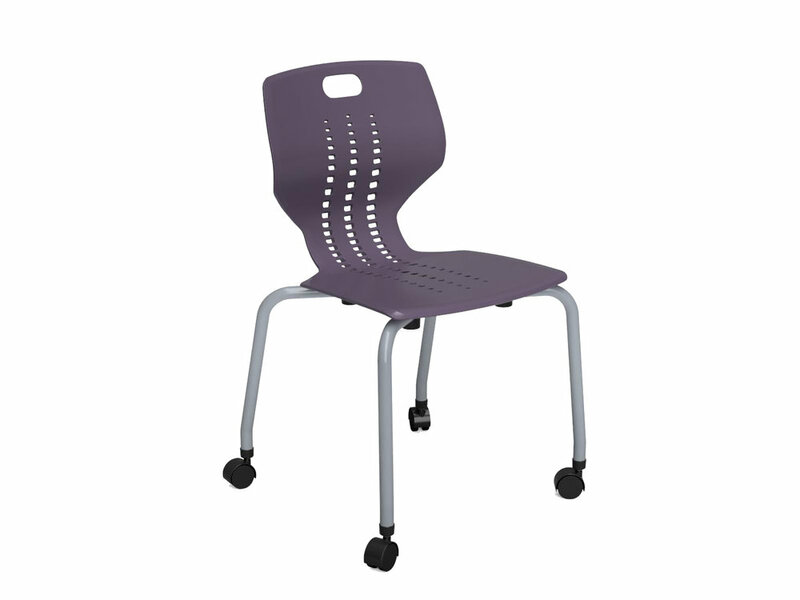 Available in two base options: 4-Leg and Cantilever. Stack up to six to allow for easy, compact storage. 4-Leg seating is offered in glides or casters. Glide bottom material should be selected based on flooring type. 2" casters are non-locking. Available in 16 plastic and 5 frame paint colors.